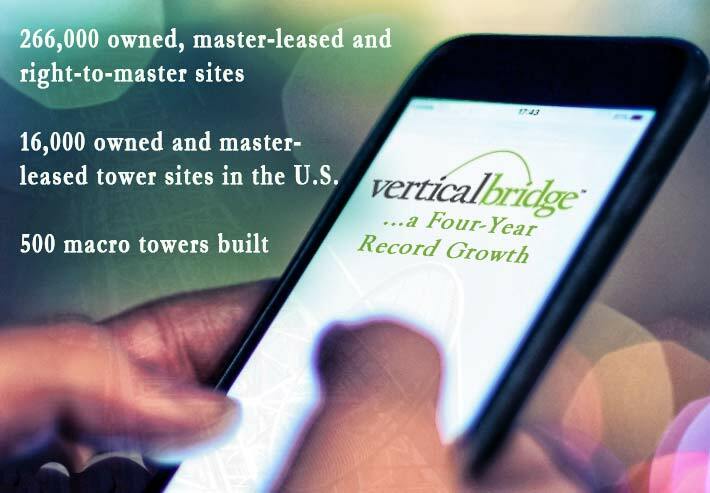 Vertical Bridge Holdings, LLC, the largest private owner and operator of communications infrastructure in the United States, today announced that it has grown its portfolio to 266,000 owned, master-leased and right-to-master sites. The company, which is entering its fifth year of operations, also announced that it has built more than 500 macro towers for U.S. telecommunications carriers to date, with the majority having been constructed within the last year. The announcements mark two more milestones for the company, which has grown into one of the nation’s top broadband and broadcast infrastructure providers.